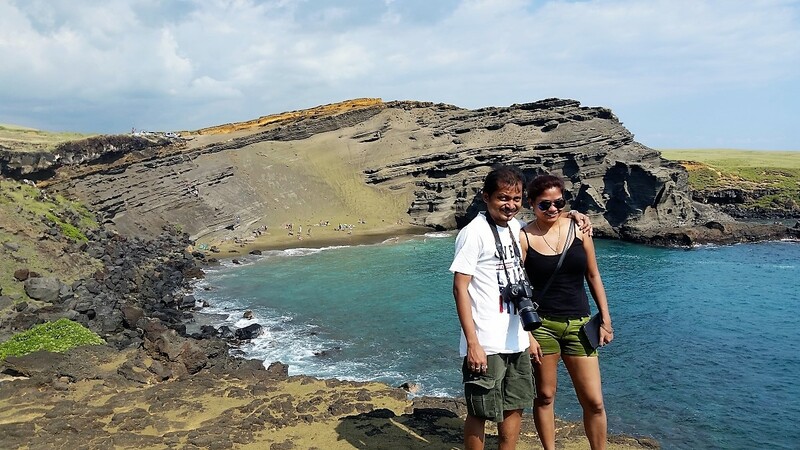 Our Big Island Hawaii adventure tours are perfect for families, couples and friends traveling together. 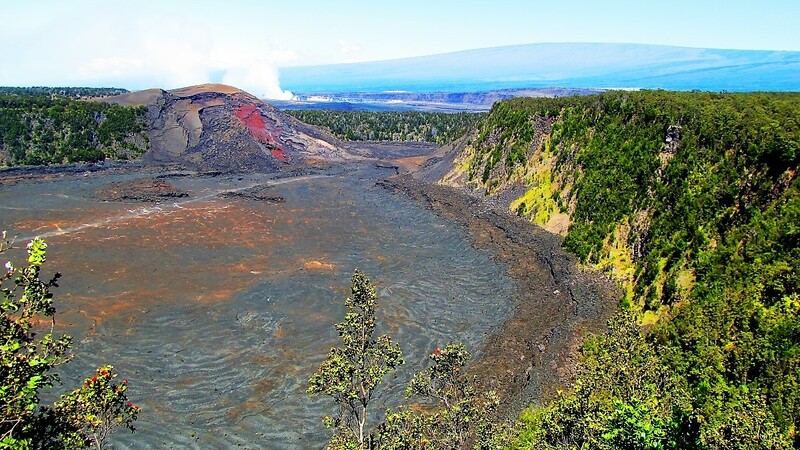 For a truly memorable experience, a private tour is the best way to experience the Big Island. It allows you, our guest, to be more personally involved in creating your own unique experience. There is virtually no limit to the places we can explore: Hawaii's parks and historic sites; the Hamakua Coast and Big Island waterfalls; Hawaii volcanoes; unique beaches; Pololu and Waipi'o Valley; scenic driving tours or hiking tours virtually anywhere you'd like to go. Join us for a day or several days. 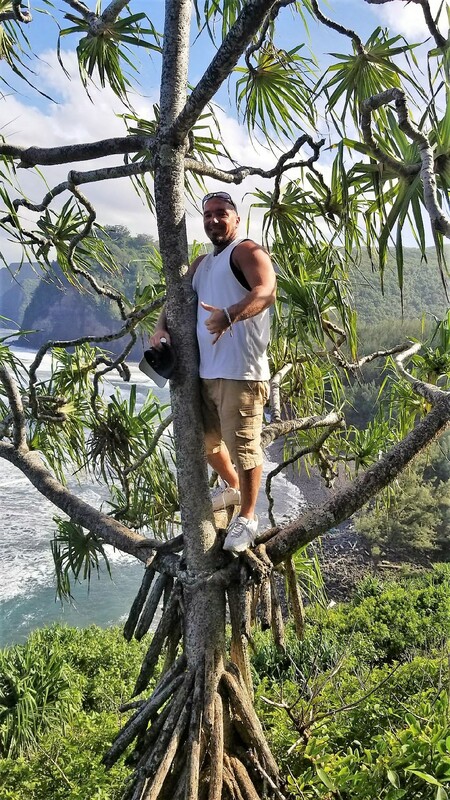 We share the best sites on the Big Island and take you only where you want to go for your personal and private Hawaii adventure tours. Throughout this website you will find an endless selection of attractions and popular spots to explore. You may already know the places you’d like to visit, or you can choose from our suggestions of popular destinations outlined below. Celebrating an anniversary, birthday or other special event? Do it in style with a private Big Island Hawaii adventure tour. Full day private tours (6-8 hours) start at only $295 for up to three people (just $50/additional person), except where indicated. For groups of six your full day of exploring can cost less than $75/person! Add $50/hour for extended tours lasting more than 8 hours. You will have all the details before you are charged. Tours typically begin at 8am (obviously if you want to see the sunrise from the top of Mauna Kea, you'll have to get up considerably earlier!). We will meet you at your residence and travel in a luxury SUV with plenty of room for 6 passengers. Cold drinks and snacks are provided throughout the day. We will suggest options for a lunch stop (not included in price) or you can bring your own (cooler provided). For you folks on a Hawaii cruise, the following tours are an exceptional option for your brief time in port. Tours with a green font headline are ideal cruise ship shore excursions from Kona. Tours with a blue font are ideal cruise ship shore excursions from the port in Hilo. Complete this short form to schedule any of the listed Hawaii adventure tours, or suggest your own ideas. We'll put together a spectacular day of adventuring. Visit some of the Big Island's most important historic landmarks on this exciting tour of Kona history. We begin at King Kamehameha’s royal residence and temple at Kamakahonu and Ahu’ena Heiau. 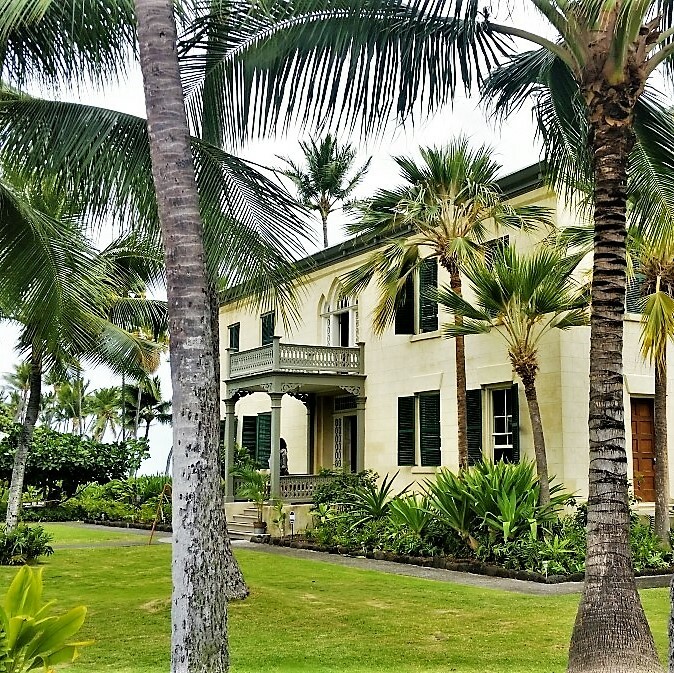 Spend time touring Hulihe’e Palace, a long-time vacation home of Hawaiian royalty. Walk through Mokuaikaua Church, the oldest church in Hawaii. Enjoy the experience of a Kona Coffee Living History Farm tour. Finally it's off to Pu’uhonua o Honaunau, the City of Refuge and one of the most significant cultural sites on the Big Island. Add $15/person for this tour, available Monday-Friday only. Legend has it that the stones used to build King Kamehameha's Pu'ukohola Heiau were hand carried from Pololu Valley. If there's any truth to this legend, you’ll be amazed when you see it! 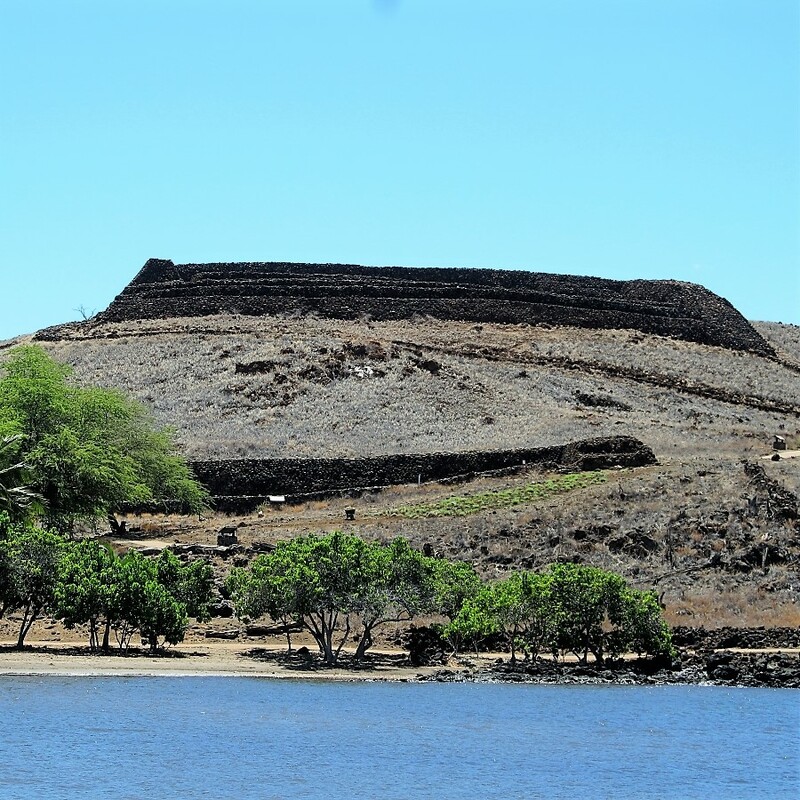 Pu'ukohola Heiau is one of the most significant historic landmarks in Hawaii, playing a key role in uniting all the Hawaiian Islands into the Kingdom of Hawaii. If you schedule this tour on a Friday you'll get the added bonus of whale watching at Pu’ukohola (Nov-March only). Then it's off to Kapa'au to see the original statue of King Kamehameha I. 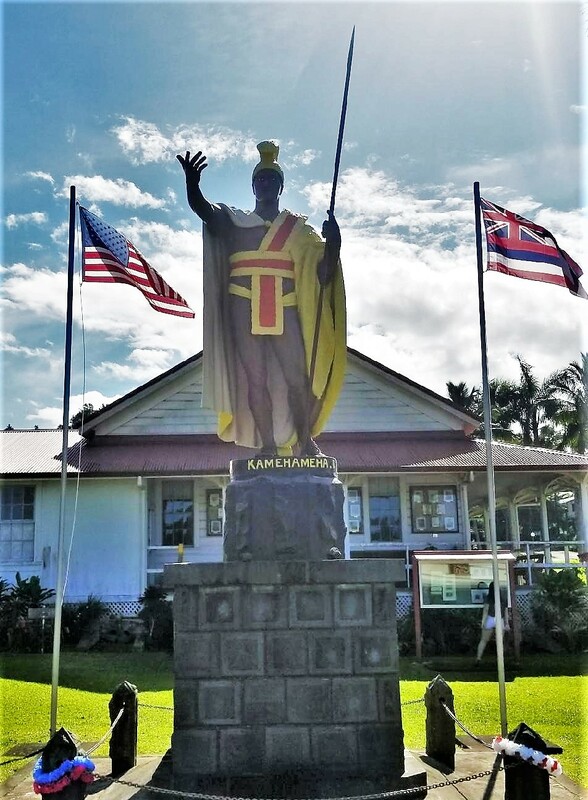 We will stop in Hawi town for an optional lunch and sightseeing before continuing to Mo'okini Heiau, birthplace of King Kamehameha I and an ancient sacrificial temple. The final stop on our history tour is the ancient fishing village of Lapakahi, another great photo opportunity. This beautiful tour takes us across two prominent sections of the Ala Kahakai Trail leading to two of the Big Island’s most iconic coastal landmarks, Makalawena Beach and Kiholo Bay. Much of the area is exposed with little shade, and the trail crosses long stretches of lava, so it can get plenty hot. But the reward is enjoying two of the most gorgeous shoreline destinations in all Hawaii. Neither hike is particularly strenuous and total hiking distance isn't more than about five miles (8km). Our destination is South Point, southernmost spot in the United States and believed to be where the first Hawaiians came ashore. 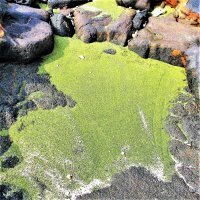 See remains of Hawaii’s first settlements as you hike along the coast to Papakolea green sand beach. This hike is about five miles (8km) roundtrip and gets very hot, so we encourage starting this tour early to beat the mid-day heat. 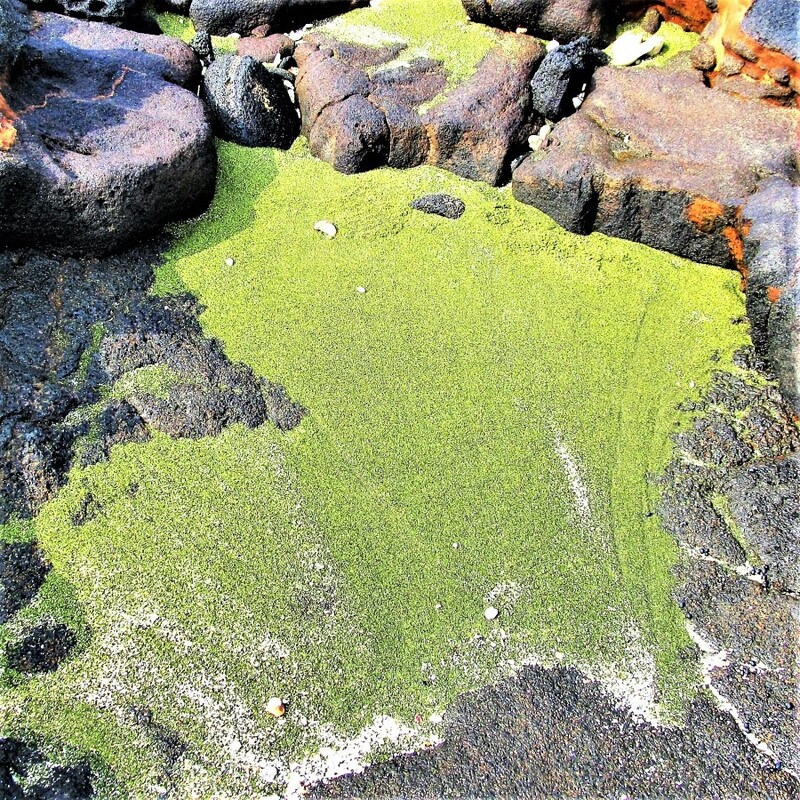 As we hike close to the shoreline, search for pockets of shimmering green sand deposits where the olivine concentration is so rich as to take on a glass-like quality. We will also visit Punalu’u Black Sand Beach, one of the few true black sand beaches in Hawaii. Includes a stop in the cute town of Na’alehu for an optional lunch. Head north to the historic village of Honoka’a, an important community during the sugar plantation era. 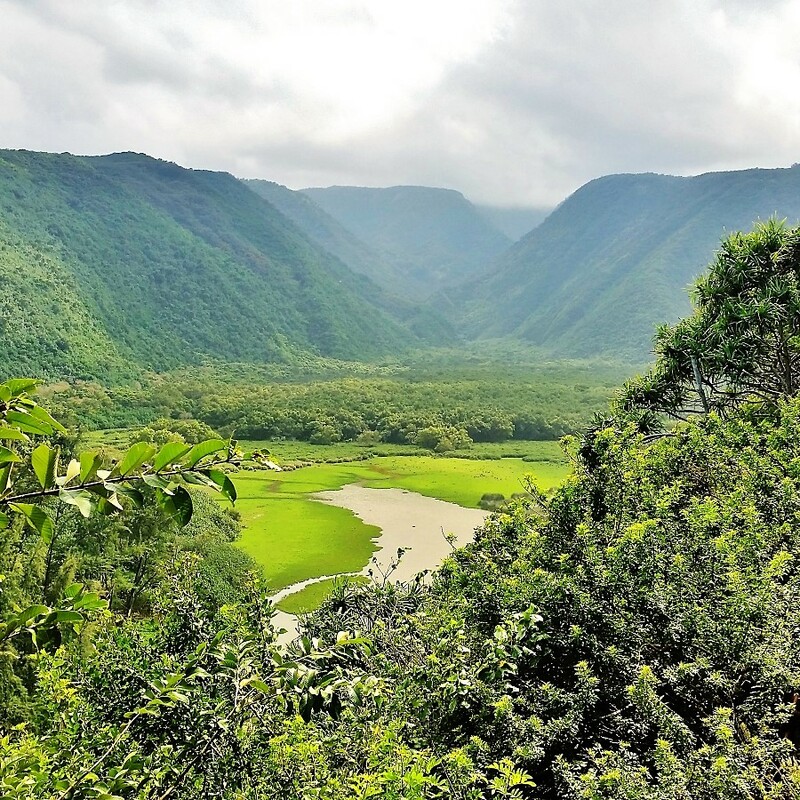 Stop at the scenic Waipi’o Valley overlook for one of the best photo opportunities. Hiking enthusiasts are welcome to hike to the bottom and explore the valley. We will then drive through Waimea and along the scenic Kohala Mountain Road to Pololu Valley. The hike to the bottom of Pololu Valley and Pololu beach is short and well worth the effort. This can be a sightseeing tour or hiking tour depending on your particular interests. Leave the beaches behind and journey to the top of the highest mountain on the planet (weather permitting, road closes often). First stop is the Mauna Kea Visitor Information Station at an elevation of 9.200 feet (2,800 meters) where we will begin acclimating to the high altitude. 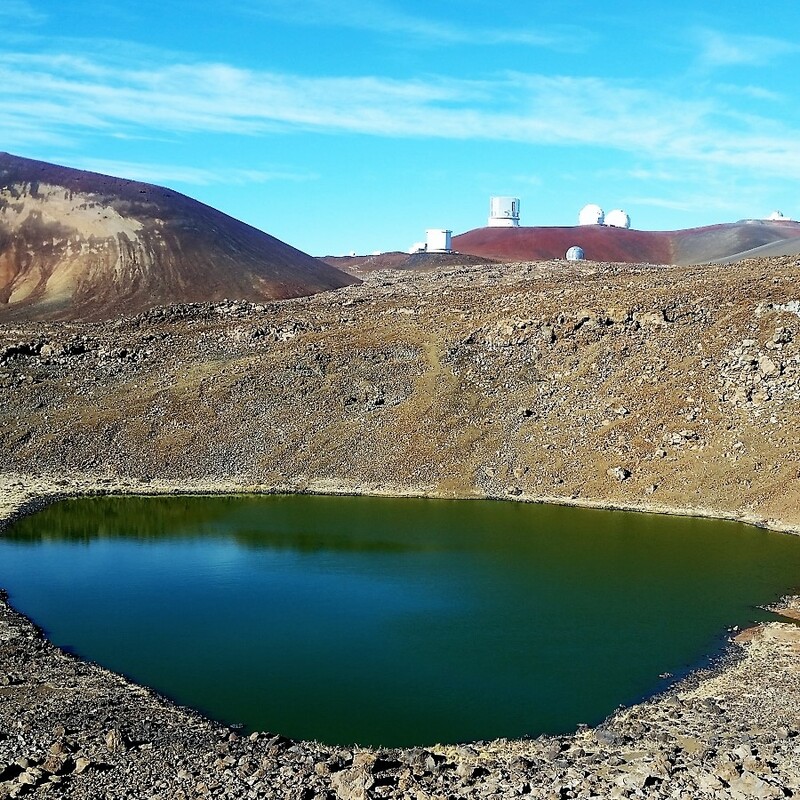 We will then drive to the trailhead for Lake Waiau near the Mauna Kea summit. Even though the hike to the lake is less than a mile each way, the extreme elevation (above 13,000 feet) can make this hike particularly challenging. Following a glorious hike of approximately 1.5 miles (2.4 km), we continue to the top of Mauna Kea volcano, with an option for another short hike to the actual summit of the mountain. 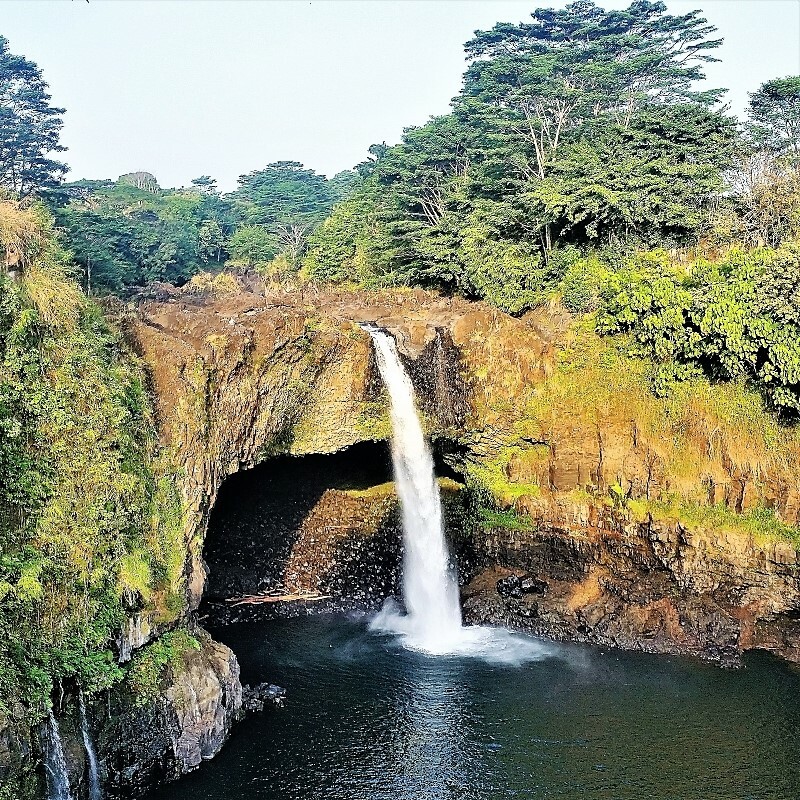 This scenic drive along the Hamakua coast north of Hilo includes stops at two of the Big Island's iconic waterfalls, Rainbow Falls and 'Akaka Falls. Heading north, you will travel along part of the Old Mamalahoa Highway, once a foot-trail connecting villages in the area prior to the sugar cane era. Enjoy beautiful scenery along the old highway with many waterfalls and dramatic coastal views. Learn more about the history of the area with a visit to Laupahoehoe Beach Park and the historic town of Honoka’a. Finally we reach the end of the road at the Waipi’o Valley overlook, with wide open vistas of the Valley of Kings. We will provide additional details for those wishing to hike into Waipi’o Valley. A beautiful drive south from Hilo through the Puna district. Explore Lava Tree State Monument, an impressive collection of tree molds created during a 1790 eruption. 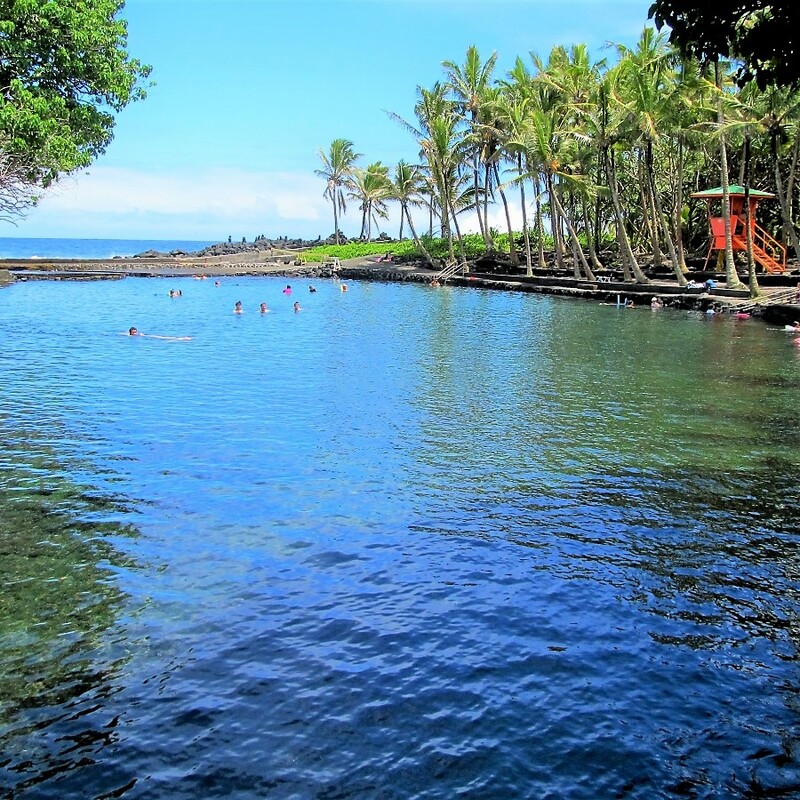 Snorkel at Kapoho Tide Pools, one the best snorkeling sites on the Big Island. Visit Ahalanui Beach Park, then continue south to Kalapana and walk out to explore Kaimu black sand beach. An exclusive private adventure featuring all the best sites of Hawaii Volcanoes National Park and the summit of Kilauea Volcano. Perfect for couples and families. Pick up is available from all parts of the island. Book Your Hawaii Adventure Tour Today! Complete this short form to inquire about any of the above Hawaii adventure tours, or to schedule your own adventure. Your favorite place not on this list? Feel free to suggest your own ideas for your ideal tour. 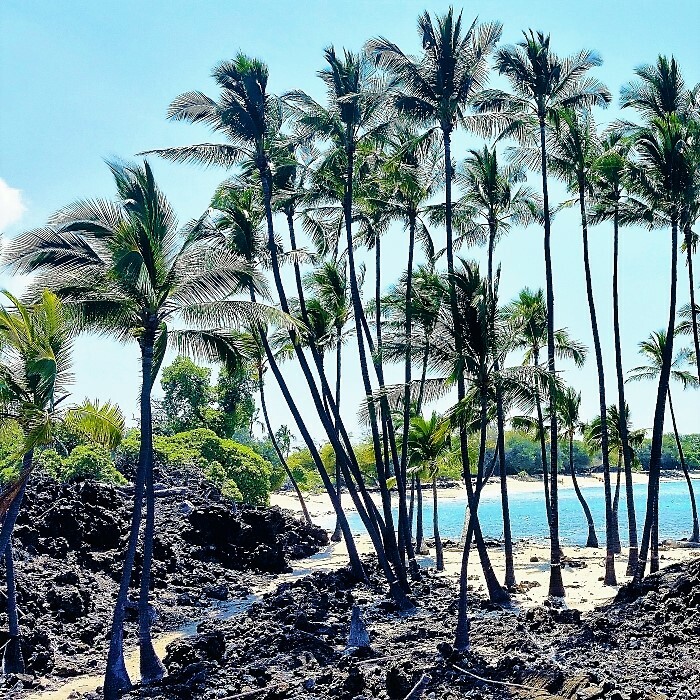 We'll help make your Big Island vacation the trip of a lifetime. Copyright © 2011-2018 www.explore-the-big-island.com. All rights reserved.